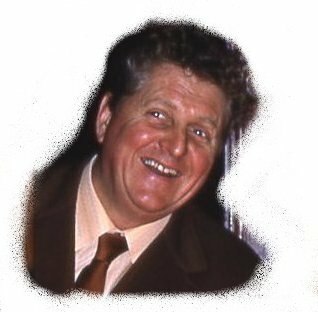 Raymond Ernest Taylor - Born at 45 Botolph Street, Norwich on October 20th 1927. Botolph Street was a left fork in the road running out of the city from Magdalen Street, it consisted of rows of little shops, terrace and merchant houses with many little yards running off it. 45 Botolph Street was a flat over one of the shops and as Granddad was recorded at Dad's birth as a Drapers Assistant it is not clear if they were actually renting the flat over the shop that he worked in or not. All the properties in Botolph Street were demolished in the late 1960's to make way for the inner link road flyover and Anglia Square. Dad was the second child of Ernest Charles Taylor (1905) and Ivy Maurde Grint (1908). The first child recorded at birth as Arthur was born in the Dec quarter of 1926 (known in the family as Jack but recoded at death as just 'Male') died at birth or within a few days. We have been told by a family member that she can remember going to visit and seeing a little white coffin laying on a shelve in the front room before the funeral. 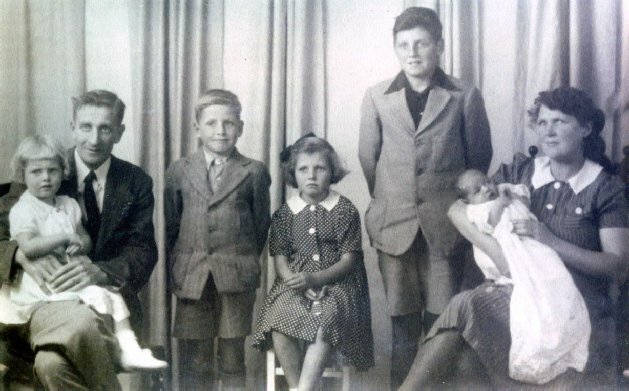 Alan followed in 1932, then Rita 1934, then Cherry 1938, David in 1940 only to die at the age of 2 and then Maureen a bit later in 1949. By 1937 the family had moved to 9 Cadge Close, Larkman, just off Dereham Road. This had brought them closer to our Grandmother's family who were living on Motem Road and as our Grandmother and her her sisters were very close it proved to be very beneficial during the Second World War while our Grandfather was away. Later the family moved to 84 Bowethorpe Road which was a bungalow very close to the West Norwich Hospital. Dad had the normal sort of childhood which you would expect in those days but we do know is that he hung out and was very friendly with his Uncle Charlie Grint who was only 3 year older. After a short childhood and at the age of 12 dad’s role in the family was about to change as his father was called up for war service and sent to Burma where he stayed for 5 years. Money was tight and he was soon out working. Dad had many jobs to earn what he could to bring money back home for his mother who was trying hard with a very young family to make ends meet. Our Aunts Rita and Cherry recall that dad would often bring home little nik naks for them and for 5 years they looked on him as a dad. At the age of 12 Dad worked for Cook's the Chemist in St Stephen's, Norwich then he worked for Palmers that made cigars before trying his hand at working on the land. The farm was at Bramerton Woods End where he would bike every day from Bowthorpe Road where the family was then living in what ever weather. When his father returned from Burma the whole family went to meet him at Thorpe Station, Dad ran ahead and seeing his father on the platform holding a case Dad said "can I hold your case sir" to which his father replied "not likely I've carried it all this way so I am not handing it over now". He did not recognise his own son as Dad had changed and crown up that much since he last saw him. May 8th 1945 Dad went to the Colman Road Centre where there was going to be a gymnastic display and later a dance. One of the young girls in the display team came up to him and asked him if he would like to dance. That young girl was our mother and this was the start of a relationship that would last for 66 years and produce 8 children. Love soon developed, Mum would bike to meet Dad in the mornings as he was biking to Bramerton for work, his route was very close to where she then lived. Then in the evenings she would bike over to Bramerton to meet him out of work and they would bike home together. It is important to mention: On this page I refer mainly to Dad as this is about our Dad but Mum was also a very big player infact they were a team. I think I speak for us all; We are truly blessed to have had such hard working and thoughtful parents. 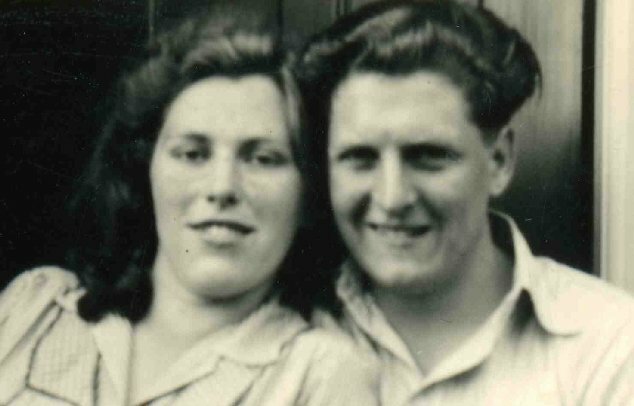 Dad and Mum married at Old Lakenham Church on June 6th 1946 holding their reception in the wooden village hall next door. Dad said that they were running out of beer so he jumped on a bus which took him to a pub and then back to buy some more. Their first home was RAF Middle Wallop, Hampshire where they took our Aunt Cherry to keep Mum company while Dad was doing his training. Cherry who was only about 6 at the time and can remember going to school there. He was then transfered to 30 Married Quarters at RAF Horsham St Faith in 1947 where Raymond was born. When Dad was de mobbed from the RAF they spent some time living with our mother's parents at 33 Cavell Road, Lakenham where Wendy was born in 1948. Dad was not happy living with his new young family like this, he wanted his own place. One day Dad visited Arthur Howard a man Dad had got frindly with at a previous job who lived in a bungalow on Drayton High Road, Drayton , Arthur notice Dad was not happy and told him that he needed to get his own house. Arthur offered to lend him the deposit so Dad went house hunting with Mum and picked one at 28 Woodcock Road the deposit was £108 and the deal was done. The year was 1949 Judy and Richard were born there and we lived there until 1951 until it was sold. Dad would visit Arthur ever week to make an installment to clear the debt and on the final installment Dad asked him about interest and Arthur said "would 10 shilling hurt you boy"? Dad wanted a shop and as he had a good offer for Woodcock Road and did not want to miss it, it was sold and we all moved in with Dad's parents at their shop further down the road. Dad had bought a corner shop in Spencer Street and there was a delay in getting the legal work done. 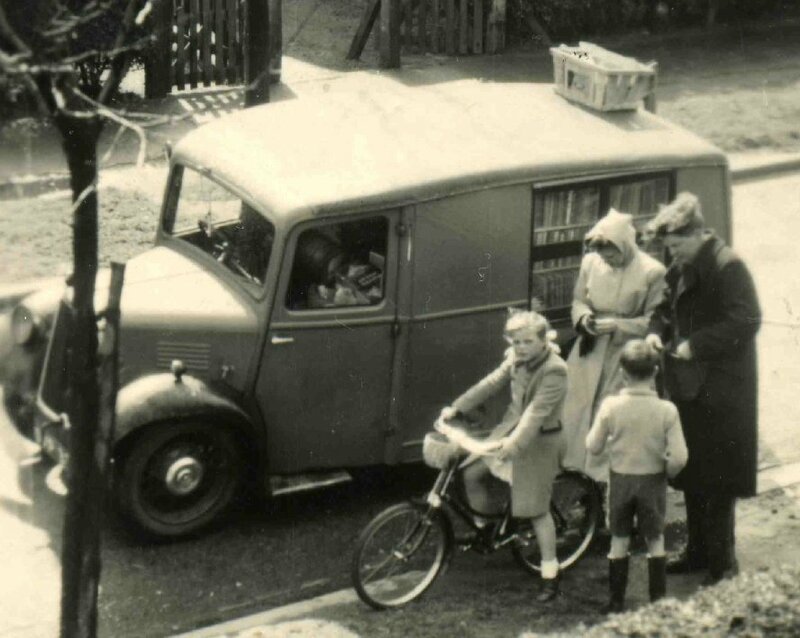 Dad tried his hand at many jobs, mobile library, mobile fruit and veg or basically anything where he could make some money he also started collecting money for his father who in 1947 opened a shop on Woodcock Road, Grandad called his shop Rita’s after our Aunt. Dad soon became known to many of Granddad’s customers as Rita this was a name that would stay with him for the rest of his life, even this Christmas Dad and Mum had cards addressed to Rita and Ethel. We moved to 85 Spencer Street in about 1952 which was then a run down corner shop with old bakery ovens in the back room. Dad had bought it without mum even seeing it, she was not very pleased. Dad being Dad set about removing the ovens and doing it up. The shop was rented out to our Uncle Alan who was a Gents Barber and then to a chap called Ken and then a polish man who were both Barbers. Over the next 15 years it was our home and the family increased a little more to a grand total of eight children with the births of Penny, Nicky, Cherrie and Susan. Despite being a corner terrace it never seemed crowded we all have many happy memories of a lovely family life there. Dad cleaning his Vanguard ready for his sister Cherry's wedding. Dad bought a television, I think it was the first in our street. It was not like the ones today for it was like a bit of furniture with two doors on the front that folded back and the screen was so small. One Cup Final Day nearly all our neighbours were invited in to watch it on our TV. Dad also bought two cars and would rent them out. He was always working right late into the evenings if it was not collecting his money he was driving a lorry to Peterborough and back. When he got home mum would cook him a fry up, I’m not sure how much he actually ever got to eat as we all used to sit round him with our mouths open waiting for a small helping like a nest of young birds. After his building programme at Spencer Street he got a taste for doing up houses so when he had the chance to buy a few terrace houses he snapped them up. One by one he did them up and either sold them or rented them out. This he did in what spare time he had including Sunday mornings, his stamina was remarkable but Sunday afternoons was family time and he would always take us out in the mini bus where we all have many memories of some wonderful times all over Norfolk, Suffolk and further afield often not getting home till late in the evening. Mundesley was a favourite spot, the whole family would make their way there, Dad would always make sure that Mum's parents or very good friends Jack Marais, Iris and daughters Jenny and Jackie (who had no car) were also included by picking them up on the way. We would all meet on the playing field car park only yards from the cliff and beach. Dad was well setup for outside catering, he had all the equipment which was tucked away under the seats of the van, including a gas ring for making tea. It was nothing to serve up about 30 cups of tea in one serving. Lunch was always served first before making our way to the beach for the afternoon, then back again for games, games and more games interrupted by tea before playing more games well into the summer evening often until dark. I don't think there was anytime on our days out that Dad would not lead us all into song whilst driving, from the outside as we went by it must have sounded like a bunch of hooligans out on a pub crawl. By the time we had arrived home most of us were asleep in the back of the van, we were undressed and tucked into bed while still asleep, in the morning it was nothing to find sand still in our toes. The next project was another shop this time 133a Magdelen Road, again it was run down and needed a lot doing to it but this was not a problem as Dad could always see the end product. It was named Tong’s after our mother’s family and Mum would look after it while Dad was out on his rounds. It sold mostly drapery and became like a second family home as most of us would go there after school and holidays until Mum closed for the end of the day. 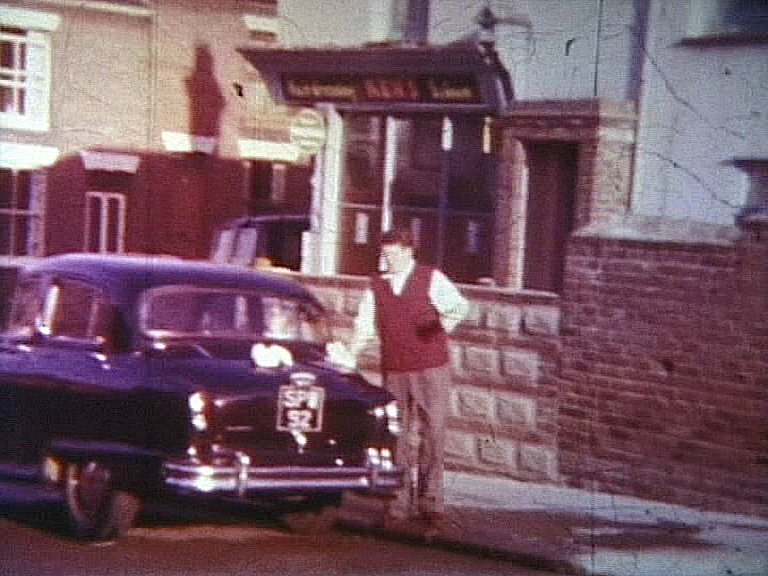 Dad loved his gadgets and cars in the very early days he bought an old ambulance that had been used as a fish and chip wagon, the year was 1953 and Norfolk had just experienced the most dreadful flooding which killed several people. He wanted to see things for himself, so one Sunday he decided we should all go and have a look. As the ambulance had no seats in the back he and our granddad Tong threw the lounge settee in the back so that we could all have something to sit on and off we went all round Norfolk’s coast. Another of his gadgets included an 8mm Cine film camera. Wherever we went, out popped his camera – "Walk towards me – walk this way – go on, say something". He drove us mad, we did not appreciate it then but now we have some priceless family footage to look back on. 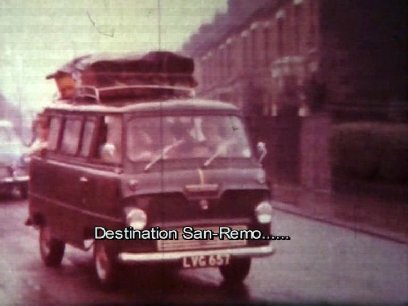 We are also thrilled that this footage is now preserved forever in the East Anglian Film Archive, part of which can be viewed HERE.. 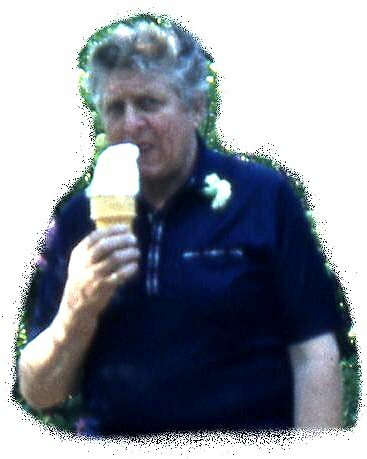 There was a rumour that dad liked his ice cream LARGE!! Holidays were becoming more and more fashionable so Dad arranged for a weeks holiday at our Grandparents caravan which they had permanently sited at Gorleston. We had about two holidays there but on one occasion Dad was rushed into hospital at night with gallstones he was detained in hospital for a couple of days and had to make his way back to the caravan by bus as Mum could not drive at that time, Raymond walked to the bus stop on the main coast road to meet him and to carry his bag. In 1959 Dad borrowed a big army bell tent from his friend Colin Slaughter and off we went to Devon, the journey took over 13 hours and our first stop was Cheddar Gorge and then on to Seaton. Dad then got the bug and bought a very large tent and we had several camping holidays either in Devon or the Lake District. We always took someone with us Ann Wilde, Peter Mills, our Aunt Maureen and dispite having eight children there was alway room for more. 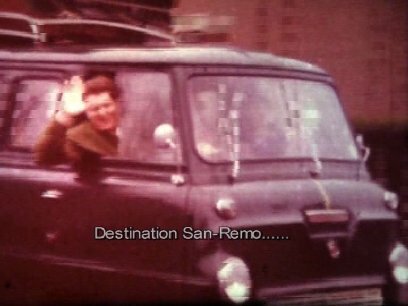 In 1962 Dad decided he wanted to go bigger so together with friends Jack and Iris Marais and two of their daughter's Jenny and Jackie as well as my Aunt Maureen, a total of 15 we all set off in Dad's Ford Thames Mini Bus for a camping holiday in Europe final destination San Remo, Italy. This for all of us was a real experience albeit that most of us got chicken pox during the two weeks. As we started to marry and the number started to dwindle Dad bought a large caravan. White Cliff Bay on the Isle of White became a favourite place. He would tow the caravan down to the camp site and set it up for virtually the whole summer and we would all take it in turns to take our families there. Dad decided we needed a bigger house so we all went house hunting we even looked at Great Witchingham Hall before Bernard Matthews bought it, oh how things could have been different! His biggest ambition was to build his own house and early in 1965 dad fulfilled his dream. In 1962 he purchased a plot of land containing two condemned cottages that had to be demolished it was situated on the corner of Wroxham Road and Beeston Lane, Rackheath. Over a period of 2 years he built what was to become our new home ‘Tenby House’. 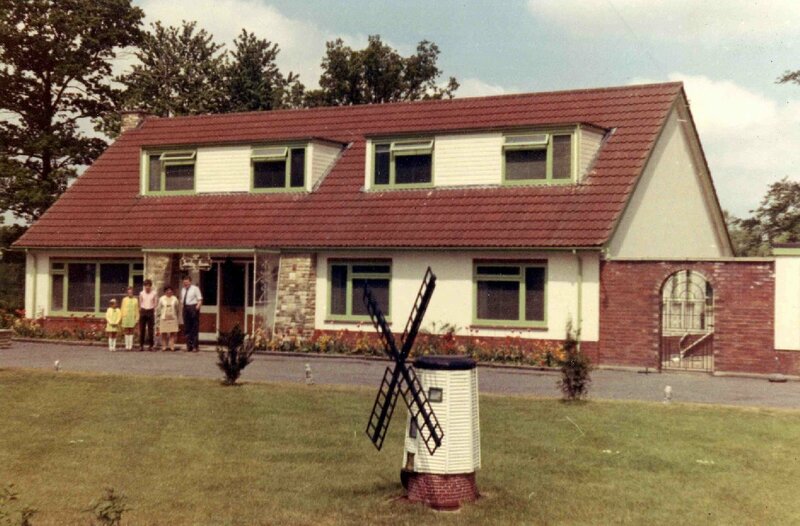 When we actually moved in we weren’t even connected to mains electricity, we had a generator in a shed for some weeks. Under Tenby House was a very large cellar which was about one third of the footprint of the house. The cellar was built with parties in mind where again dad fulfilled another of his dreams of having a pub for he built his own bar in one corner all fitted out with reclaimed items from an old brewery. Tenby House was again to become yet another house that would hold so many happy memories. Dad loved parties – When we were young we had the most wonderful parties, all the family and friends came. He was always full of fun and always playing jokes, if anyone invited us to theirs it was either water pistols or an apple pie bed. You could never be quite sure of what to expect, he would dress up in our grandmother’s clothes and look so convincing, he had an endless supply of masks, funny hands, big teeth, and many more gadgets that he would try out on everyone who came round. As we got into our late teens and into relationships we would all save every week for a dinner and dance to either the Norwood Rooms or the Carlton Hotel, Great Yarmouth where we would go 3-4 times a year. The manager at the Carlton had a habit of brushing off any bits of fluff or dandruff that you would have on your clothes. Dad thread some white cotton through his jacket so it looked like an odd bit of cotton laying on the outside leaving it still attached to the reel which was in his inside pocket. Dad went up to the manager to ask him something and when the manager saw the cotton he immediately picked it off but the cotton just kept coming and coming and with Dad's help Dad emptied the reel in front of him, it brought the house down. His 'off the cuff' remarks and one liners were priceless, recently when he was admitted to the A&E his health was literally on the floor but when he was told it had been discovered that he could have had a heart attack about 2 weeks earlier he just paused and said “It must have been that round of drinks I bought!". There are many, many more that we can all recall, our dad was delivering them right up till virtually his last breath. Dad hated the idea that at his death the taxman was going to take a share of his estate and one day announced that he had found a way of beating him, he was going to take it all with him. He said that after he had gone we had to total up the full amount he was worth, make out a cheque and put it in his top pocket! Dad died about 1am on Monday, 2nd January 2012 after living his worst nightmare from being seriously ill in hospital for 4 weeks. It was found that he had several psoas abscesses behind his spine this also caused blood poisoning. In the end sadly his body just shut down and Dad slipped away in his sleep. His Funeral will be on Wednesday 25th January at 11.45am at Horsham St Faiths Crematorium. My father’s funeral day has turned out to be one of the worst days of my life. I loved my father and I had the upmost of respect for him. He was a big man not only in size but also in character, together with his importance as head of his very large family and to see his body laid to rest in a woven basket for a coffin and no Christian service was more than I could bear to witness. Dad was a good husband, father and provider. His work ethic began at a very early age when he was brought up to explore every angle to make money and was renowned for his mischief, fun and sense of humour a quality he took right up to his last breath. Until I went to Australia in 1967 I was involved in many of Dad’s projects, starting from the age of about 5 cutting the edges of wallpaper. Later I joined him on his round, then helping renovate his many houses and much more. We would always finish up with a quick pint at a city pub where he not only did some of his business but also had many friends. It was from him that I owe my love for the work I do now. He was respected and loved by many, WE WILL MISS HIM GREATLY. Dad words cannot fully express the sadness and love we feel. Your generosity, smile and sense of fun will be with us every day. You were a very special dad, father in law, grandad and great grandfather. Missed but never forgotten. Dad you were our world, you worked hard to provide a good family life of memories that will never fade. You were the life and sole of our existence and always ready to help and support us, but most of all you loved us for who we are. All of us have special memories of you and although you are no longer with us you are never far from our thoughts. We laugh at the good times and will always have a big space in our lives that cannot be filled. Dad told me there was only one thing that he had not achieved in his life and that was to win a million pounds. ‘Don’t worry Dad, we will carry on trying to achieve your goal’. Grandad & Great Grandad – Many great memories, you will always be missed and there will always be a place in our hearts for you. We miss you more each day but you will never be forgotten. 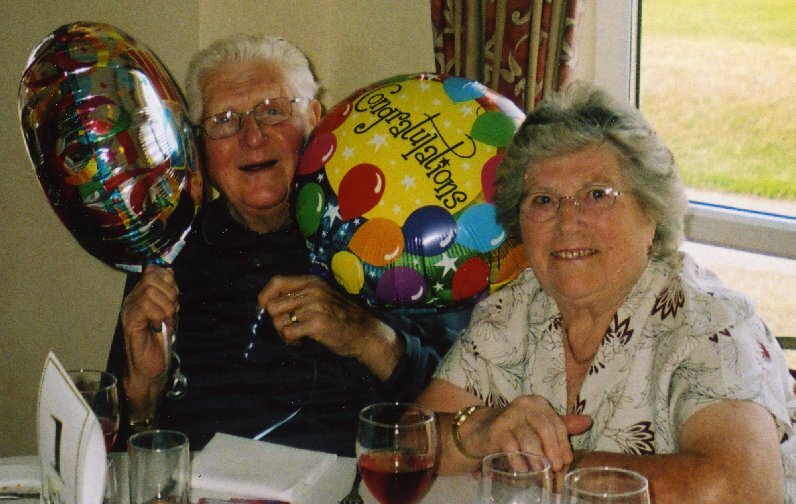 Thank you for being you – our Grandad We will always love you very much!! Grandad and Great Grandad - Words cannot describe what you mean to us...we miss you everyday. - Thank you for your laughter, smiles and wisdom. Dad’s was a good husband, father and provider. He was renowned for his mischief, fun and sense of humour a quality he took right up to his last breath. He was respected and loved by many, WE WILL MISS HIM GREATLY. In our hearts we never really thought this day would ever come. A truly wonderful, warm, loving man. To me, I have lost my Father Christmas. Will always be greatly missed. 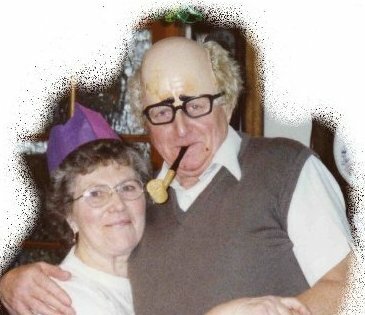 "I have so many wonderful memories of Grandad, that I could probably fill an entire album on my own, but a couple of the memories that spring to mind are combing his hair when I was about 6 or 7 while he was playing cards and the other is all various masks and joke items he had in his wardrobe that would come out at parties and Christmas time. One of my lasting memories was when Grandad got his new video camera and he wanted to film EVERYTHING, and we were always asked to ` say something to the camera'. At the time I found this uncomfortable, but I'm very glad to have those memories immortalised forever on tape. Despite all these great memories, I think my most lasting memory, which I'm sure many of my cousins will agree with, is seeing Grandad dressed up as Father Christmas. This act bought us all so much joy every Christmas and this is the way that I'm going to choose to remember Grandad, as I can't think about it without a huge smile breaking out on my face." My thoughts are with the Taylor Family for the loss of their Dad Grandfather & My father in law Ray. You were always larger than life quick with a joke & the master of the practical Joke. I celebrate your life & hope that wherever you are, you are able to get the best deal. You took me under your wing at a time when I needed support and taught me all the tricks of life and treated me like one of your own sons. “As a child my Grandad was a man I looked up to and adored, we explored the woods, he made me laugh with his funny masks, and I happily combed his hair for him. As a man I wanted to make my Grandad proud. I will never forget, just a few weeks ago, Grandad eating a hearty meal in the garden of my new home, looking at the fields and pond below. Your legacy Grandad, drives me forward to do my best, to love, guide, and provide for my family as you did yours. I will miss seeing and talking to you but like the North Star, you will continue to be my guide”. Penny introduced me to Ray and Ethel in 1996 and to this day we have enjoyed Rays sense of humour, story telling and two way love.Ray has more ice-cream stained shirts than anyone, resulting from our trips to Lowestoft for breakfast followed by the odd one or two ice-creams.Everybody says they have the best Dad, well I certainly had the best Father-in-Law.Life won’t be the same, but he will always be with us. 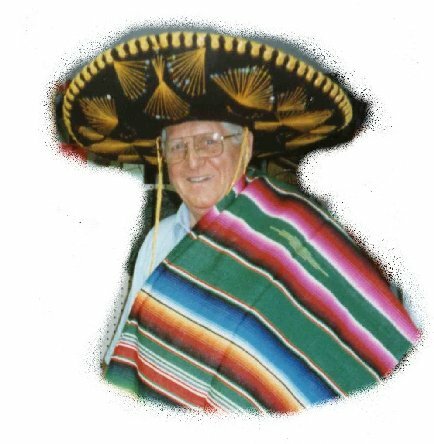 Grandad you gave me so many good times growing up, you taught me many things like playing cards, jigsaws, jokes (some so cheesy you just had to laugh) and you were a great Santa for us all at Christmas. You were the life & sole of the family, always smiling & telling jokes, I just wish we lived nearer so I could have seen you so much more. I love you dearly and I will keep you & my memories close to my heart always. Sleep tight Grandad and mind the bed bugs don't bite. Grandad you will always be an inspiration to me with a smile and a laugh you always made life fun. 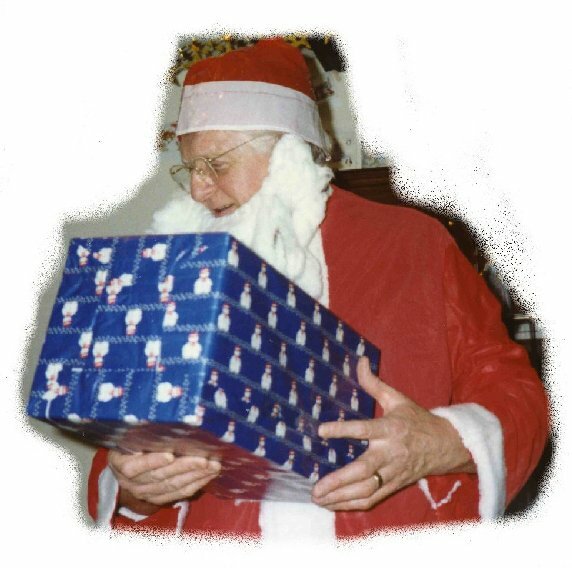 Christmas was such a special time as we always looked forward to Father Christmas visiting - I still can't believe that you managed to miss him each year! The funny masks and jokes carried on all year long. You taught me how to do business - I saved my Georges to trade with you every week and the pennies won at cards always seemed to empty your purse. You will always live on within me - so deal out another hand Grandad. When we lived at Proctor Road we had a poodle that lived next door I always said to dad that I was frightened of it pooing on my drive. One day dad knocked on the door and when I opened it there was mum and dad and a runny dog poo right near the front door. Dad said it must have been the poodle. I went mad and was going to get something to clear it up but dad said he would just kick it off the step I told him he could not do that as it was so runny he would get poo all over his shoes With this he just kicked the poo away and then I realised it was a fake Mum and him could not stop laughing I know he went on to have get fun with the dog poo.